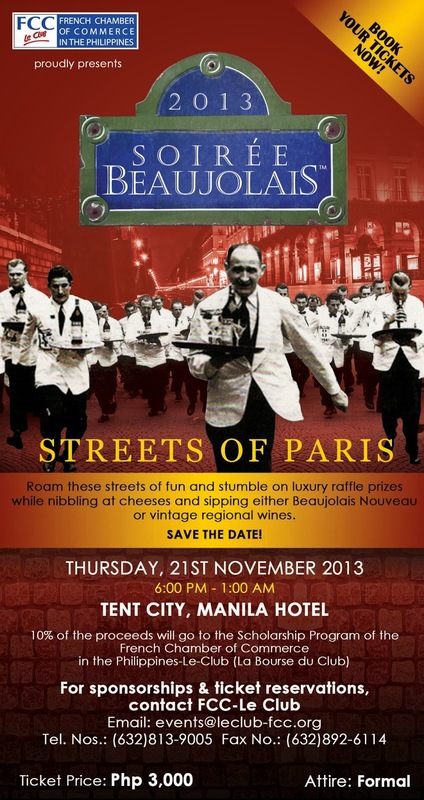 This coming November 21, join us as we celebrate the Soiree Beaujolais (Wine & Food Festival) presented by the French Chamber of Commerce. Be ready to be mesmerized and transported into the streets of Grand Paris at the Tent City of Manila Hotel. For more details, please email: events@leclub-fcc.org or call (632) 8139005.